The CW60 6mp Diagnostic Monitor is the new medical imaging display solution with highly advanced TFT LCD technology; higher brightness, better contrast ratio, real black uniformity performance and perfect image quality in color and grayscale. Both color and grayscale images can be viewed with the comfort of preset DICOM-modes, enabling to review images from different medical sources in optimal conditions, improving efficiency and diagnostic performance significantly. 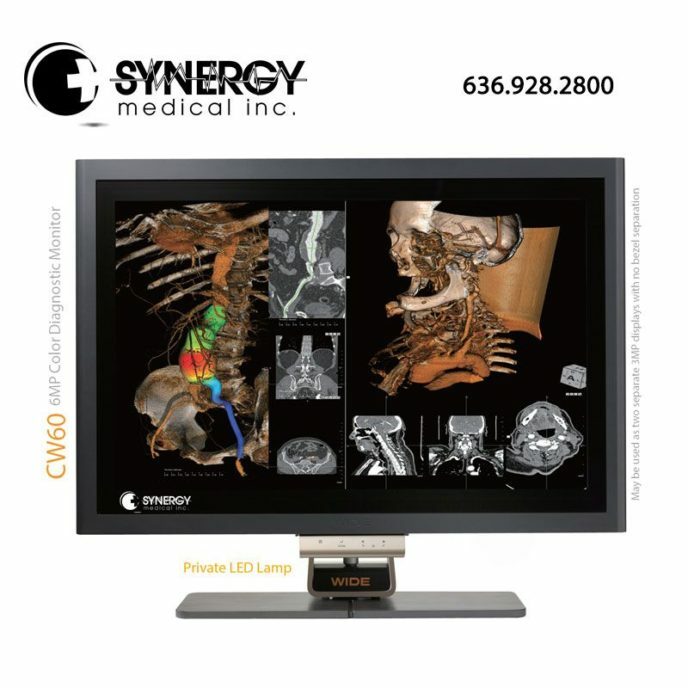 The CW60 6mp brings better image quality, DICOM Calibration and advanced quality control, within reach while making life critical decisions.